Size: Plant to 8 feet. 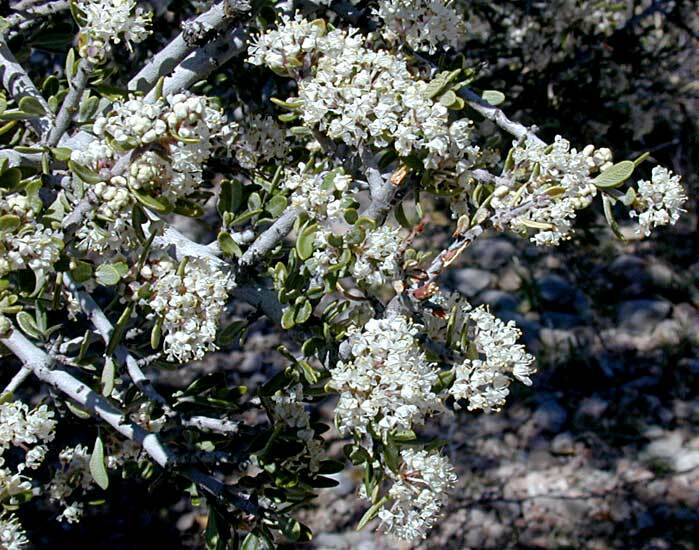 Individual flowers 3/8 inch in dense white clusters on branches. 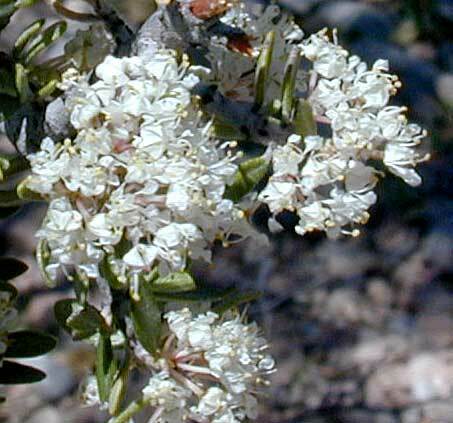 Notes: 4 species of Ceanothus in Arizona. Gregg Ceanothus plant profile on the USDA Plants server.